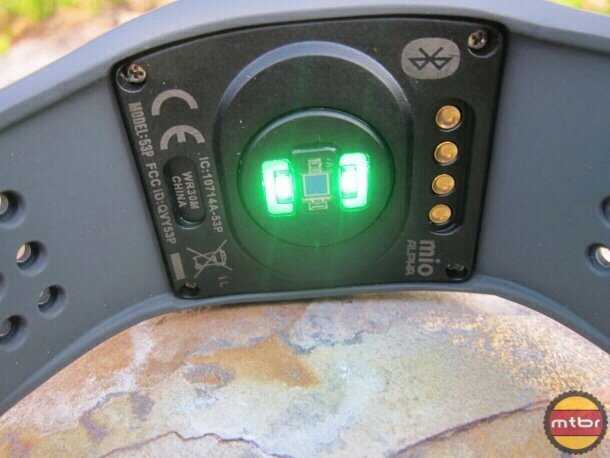 The MIO Alpha is one of the most innovative fitness products on the market. Although costly, the device is accurate than most heart rate monitors out there. MIO, a relatively new name in GPS industry are emerging as the market leaders with their new cutting edge technology. With the MIO “Alpha”, the firm has changed the world of heart rate monitoring. The MIO Alpha is the first strapless heart rate monitoring device and is just as accurate as the chest strap even at speeds over 14kph. The device which takes form of a wrist watch has killed a lot of hassle and discomfort and had made heart rate monitoring very simple. The battery life on the device is also very solid and you do not need to charge it very much. You can take it swimming too as it is water resistant unless you hit any buttons underwater. The wrist unit does not weigh more than 3.2ounces and runs on a single Lithium ion battery, subsequently, the technology used is not cheap and would cost you a hefty sum of $198.99 (with a year of manufacturer’s) warranty on Amazon. The device looks pretty sleek and elegant with a black silicon wrist band and a narrow bezel that comes in either black or white. The buttons are cleverly hidden under a bezel which gives it a nice clean look. 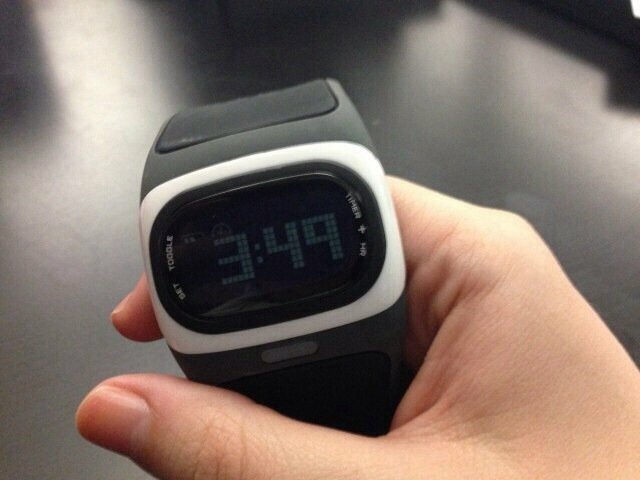 The “Toggle” button switches between time, average heart rate and your target heart rate zone. The device will start beeping and blinking to alert you if you go below or cross the zone. The Mineral glass display on the device is incredible and shows the exact heart rate, exercise timer, and the time in big bold back-lit characters. So how does the MIO Alpha really work? This question that budges you right now is how does the device really work without a transmitter? The MIO Alpha uses state of the art, electro-optical cell “sense” technology. The LED lights underneath the surface of watch senses the volume of blood underneath the skin. Then MIO’s algorithms are applied to calculate the pulse signal to measure heart’s rhythm. The award winning technology has opened new fields in the fitness industry. The MIO Alpha comes with Bluetooth 4.0 and can connect to tons of fitness apps on your iOS and Android device to record your workouts and to further analyze your data. You can connect the unit to popular fitness apps such as Endomondo, Strava Ride, Garmin connect, Digfit and MIO’s own Go app. The connectivity is seamless, the results displayed are pretty accurate and without any lag. Most people totally ignore the importance of heart rate monitoring when training. However the truth is if you do not train at correct heart intensities, you would never get the required results. The required heart rate zones for burning fat or developing muscles can never be the same. The MIO Alpha not only measures your heart rate but with the user customizable zones, alerts you if you are training at correct intensities and are not overdoing or under doing it. The MIO Alpha is a fitness training device and should be in no way used for any medical purposes or in life threatening position. Also it is advised by the company to consult your physician if the device would interfere with implanted devices such as a pacemaker. MIO’s new technology although ground breaking, is not perfect yet. The device tends to lose the heart beat and has to be adjusted at times. 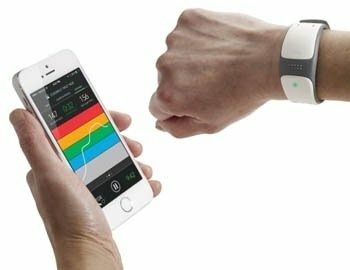 The wristband maybe too tight for some and may cause discomfort, but once suitably mounted the device gives off the most accurate reading ever. What we love most about this device is the lack of need for a chest trap. Burntech recommends the product to professional athletes and other casual devices for light trainers.